Today at assembly, Room 17 shared the data from our classroom surveys. 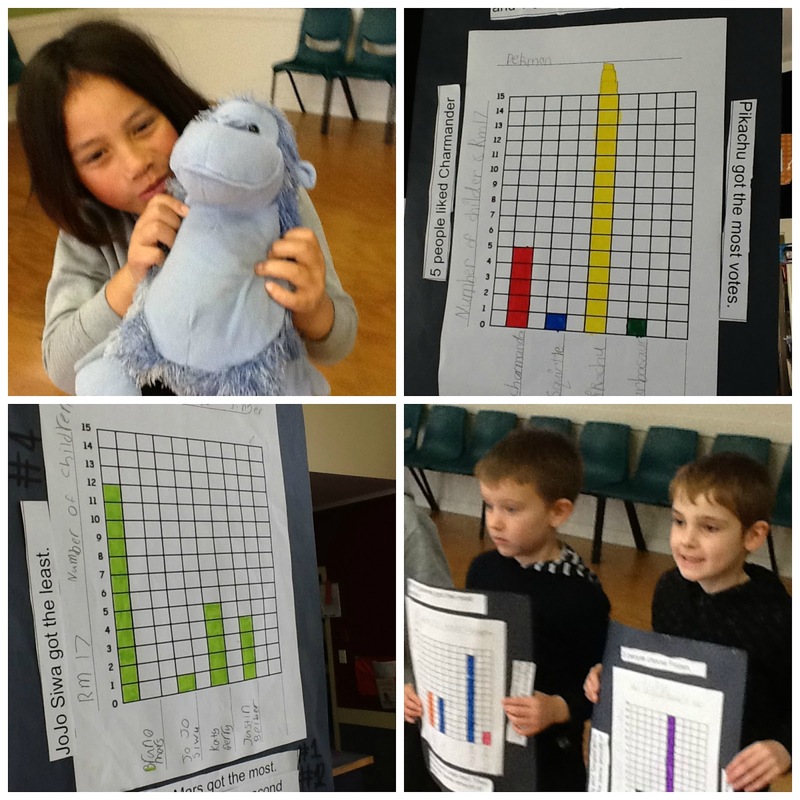 We used bar graphs to share our information. 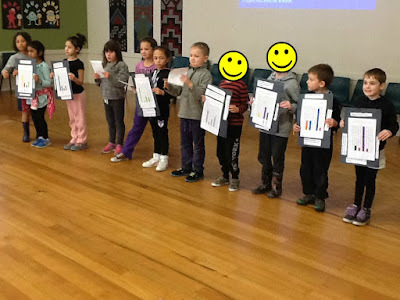 Manea, Regan and Amber introduced us, and shared some of our learning with the Koru Syndicate. Alex, James and Bella talked about what their bar graphs showed. They used lots of great math language. Clockwise from top left: Jaziah celebrating with Usa. Lawrence's Pokemon Data. Alex and Isobel sharing their learning. Bella's Bar Graph. We were also pretty pleased, because Weka Hub were awarded Usa for being a respectful audience.